e had to wait a long time so that the flagship belt-drive transport of Japanese company C.E.C. 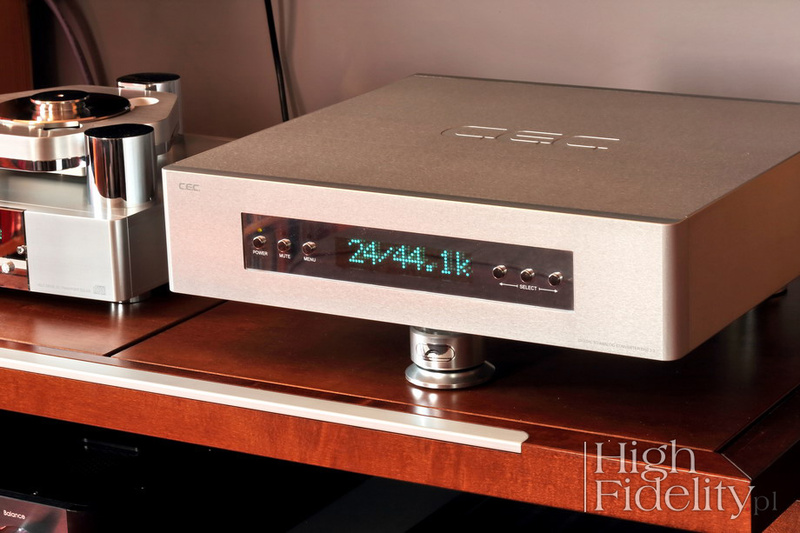 (CEC) would finally be joined by equally sophisticated DAC. As long as I remember, that has always been a case – the TL0 transport in its successive incarnations was in its perfection alone. Below in the price list everything was as it should have been, ie. the TL3 transport was accompanied by the DA3 DAC (see HERE [Polish]), but TL0 was rather frequently combined with flagship DACs of other brands (for many it has also become a kind of an example used in their own designs of devices). And even if nominally the TX71 played the role of "the first lady", it was not a real "ultimate" choice for this transport. It is no secret that over the years the electronics for this company, including D/A Converters, was designed by Juan Carlos Candeias Isaac, an engineer and designer, preparing OEM products for several companies, including CEC and Aquavox. His German company was called Candeias Audio Electronics, and after moving to China, Candeias Electronics Co., Ltd. Along with Manfred Penning (formerly Restek) he finally founded a company named B.M.C. [Polish]. These days are over for CEC. When we look at the new converter, we can see that this time the Japanese company has benefited from the knowledge of someone from the outside, again a European - at the rear we find the inscription "Made in EU" that confirms that. Although no one will say this, the way they made housing, the functions, the appearance of the back panel and internal structure allows me to say with a lot of certainty that DA0 3.0 was designed and built by our good friend Rumen Atarski of Thrax Audio. This means that we are dealing with an extremely interesting product. The new CEC DAC is big and heavy. It's housing was made of perfectly matched aluminum plates and the device accepts digital signals up to 32 bits and 384 kHz, as well as DSD128 (via USB). It is equipped with a number of digital inputs, and it features a transformer coupled output. Each section has a separate power supply. What is even more important is that instead of some of-the-shelf DAC chip they decided to use a discrete, multi-bit 32/384 DAC made by MSB. Discreet means here not that it is small – it covers an area of approximately 20x15 cm, but rather that it is not an integrated circuit and that its components are separately soldered on the PCB. Majority of the best D/A Converters I know, whether it is dCS, MSB or totaldac use a similar solution. There are some exceptions obviously – our Polish Ancient Audio being a great example, but an ever growing number of top DACs are based on discrete R-2R circuits, with discrete resistors ladder switched by semiconductor circuits, controlled by a programmable DSP. The software for such a system is created by a particular manufacturer, which allows them to include their own digital filters, upsampling algorithms, etc. 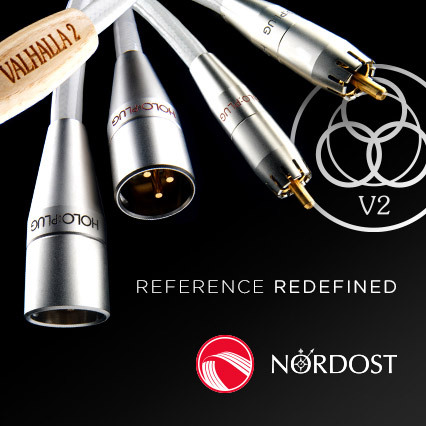 In addition to classic digital inputs, such as: RCA, optical, USB and AES / EBU, DA0 3.0 also incorporates a Superlink input ("CEC Superlink- Digital Signal Transmission System Connection"), based on four 75 Ω BNC cables. This way allows a separation of the clock for left and right channel audio signal, the return clock signal from transport and audio signal. Also Ancient Audio has its own version of such a link where each channel between transport and DAC connects with five separate digital cables! It was solved in a much simpler way in dCS, but even there the hi-res and DSD signals run through two cables, separately for the left and right channel. It's a rarely used solution, but one of the best ones, allowing to bypass the S/PDIF receiver to better synchronize both components of the system, and thereby reduce jitter. Superlink in this new CEC DAC was necessary, because their TL3 and TL0 transports were and are equipped with this type of output. The latter has a chance to use its true potential for the first time, at least using such an elaborate connection. Note that DA0 3.0 features a great white display that is large and easy to read. Since we received one of the first production units, we did not have a final version of the remote control or manual. However, the operation is pretty straight forward and can be performed from the front panel. User can choose a digital filter – there is a choice of four, activate one of the two upsampling algorithms, reverse the absolute phase and enable the re-clocking of an input signal. Let us add that the jitter is negligible, as the level of 1ppm suggest, the inputs are optically isolated, there is no need for the I/U conversion, there are no output buffers or any filters in the circuit after signal leaves D/A stage. We liked this device so much that during the High End Show in Munich we awarded it with Best Sound (read HERE). All that is just a beginning. DA0 3.0 DAC was used together with CEC TL0 3.0 transport using both, Superlink as well as RCA (S/PDIF) connections. A separate listening session was conducted using Audionet ART G3 CD Player utilized as a CD Transport (Philips CD Pro2 LH). 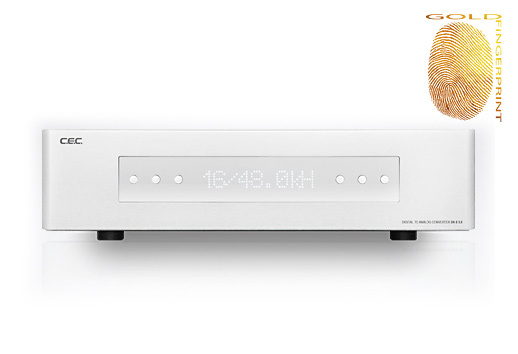 Signal from unbalanced outputs was delivered to Ayon Audio Spheris III preamplifier using Siltech Triple Crown interconnect and than using Crystal Cable Absolute Dream IC to Soulution 710 power amp. I used my own Harbeth M40.1 loudspeakers as well as semi-active Aequo Audio Ensis with signal delivered to them using Tara Labs Omega Onyx. I also used the 1390 PLB a pair Polish Pylon Audio Opal Monitor [Polish] loudspeakers. Even the latter clearly presented difference between Superlink and S/PDIF connection. Adjustable digital filters allow user to “tune” that sound of the device, at least to a point, to fit the sound to our system and requirements. These do not cause any fundamental differences, as eg. cables did, but significant enough so that it is worth giving them a try. The test was carried out with the re-clocking and upsampling No. 2 and a digital filter No. 3 on. As for upsampling I had mixed feelings, so it is best if you try them for yourselves. Test shall begin with a short description of my impression on comparison between Superlink (using separate cables for clock and signal) and S/PDIF connection (using a single cable). The differences are significant and they decide whether what we get is a very good or a remarkable performance. This second option being a result of a combination of TL0 3.0 transport and DA0 3.0 DAC connected using Superlink. Sound when playing using S/PDIF is, in comparison, "gray" or in other words - colorless. You might think I exaggerate, because we are talking about a few percent improvement in the sound quality, and sure, one might say that. My answer to that is this: if we're talking about the top level, and we are already enjoying top level sound, each percent in this or that way means giving up or gaining something important. In this case, the gain means better depth of the sound, much more sensible, velvety naturalness of the sound and this unique "presence" it creates. It may seem an exaggeration, but - I assure you - it is not: the difference between the two inputs is subjectively so big that it becomes more important than the choice of a transport itself. Connected using a high-end digital S/PDIF cable CEC and Audionet transports sounded distinctly different, with the Japanese unit having an upper hand. It offered a thicker, more substantial, more natural sound and, above all, it offered a much better defined bass. But when I compared Superlink and S/PDIF connection between CEC components the differences between them were more fundamental. I would think of TL0 3.0 and DA0 3.0 as an “obligatory” set that should work together. DAC with signal delivered this way sounded so incredibly natural. I repeat it again and again (to be precise – for the third time), but I can't forget the sound I heard in Jacek Gawłowski's mastering studio. It was incredibly natural and believable. CEC offers a very similar performance. It focuses on delivering particularly rich, full sound, on texturing, on the maximization of "firmness" of the sound. It is vivid and active while having no hint of any digital artifacts in it. Its tonal balance is shifted downward the band, at least in comparison to most other digital sources, and it is one of the foundations on which the sound is constructed. 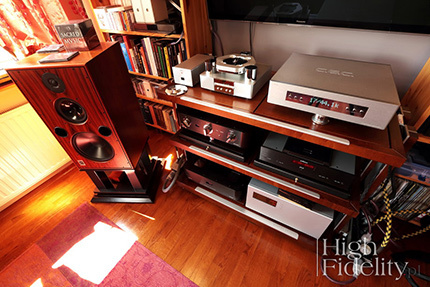 It is so in part due to the belt-driven transport, but DAC also promotes this “vision” of the sound. With the Audionet as transport sound was a little lighter, but mainly not so deep - and I don't mean the sound stage, which I will discuss in a moment, but the depth of individual instruments, vocals, reverbs. The way that CEC system presents the physicality of drums, bass, trumpet, vocals finally, is simply incredible. It's very uncommon in the context of audio in general, not only for a digital player. In this respect, this performance was very close to the sound of an analog master tape. This is not the same sound, it is simply not possible, but among the devices for audio playback only two digital systems - dCS Vivaldi SACD Player and Ancient Audio Lektor Grand SE CD Player - and among turntables primarily TechDAS Air Force One offered similar attributes.